No one wants to think about what would happen if they got into a bike accident. But it can and does happen, especially in the congested streets of LA. While cyclists comprise less than one percent of all vehicle traffic, they make up nearly three percent of road fatalities nationwide, with an estimated 45,000 cyclists injured in crashes in 2015 alone. However, that number is likely much higher because not everyone reports them. There are many dangers involved in riding a bike, especially when you share the roadways with motor vehicles. Careless drivers can quickly cause a bicycling accident, leaving victims with serious and even potentially life-threatening injuries. If you or a loved one has been hurt in a bicycle accident, you need the right bicycle accident attorneys by your side. An experienced lawyer will fight for your right to justice and fair compensation. After an accident, your first priority is to get medical attention and report the incident to police. Then, the next step is to call a bike accident attorney. This is where things may get tricky. Who can you call? Here are six keys to choosing the right bike accident attorney. Expertise: find someone who knows California law and local city ordinances. Many cities in the LA area have their own set of rules, which is why you should seek out a local lawyer who is familiar with the ordinances in the city in which your crash occurred. In addition, bike ride sharing systems and electric scooters provided by private companies often have strict rules regarding helmet use under a certain age, for example. Some areas have specific rules about riding on sidewalks, who has the right-of-way, and even what constitutes a bicycle. Trust: Seek out a bike accident attorney that has good reviews on Facebook, Yelp, Google, and lawyer-specific sites. Check the lawyer’s own website for testimonials. Call the lawyer directly and ask for references. Ask your family and friends who they have been happy with in the past. Listening Skills: Good bicycle accident attorneys will listen to you and be proactive in their responses. Your lawyer should take the time to hear your story, take detailed notes, and provide you with critical information in determining if you have a case. Compassion: It’s important to hire a lawyer who cares about you, your case and how its outcome will impact your family. They should understand how difficult this time is for you, providing reassurances that they’re working diligently on your claim and have your best interests in mind. This ability to listen to you and care about your well-being should be par for the course. Communication: Select a professional who communicates well. You don’t want to hire a lawyer who consistently fails to provide updates on your claim or forget to get back to you promptly with answers to your questions. Do you feel comfortable speaking personally and frankly with them? Do you get the feeling they are truly working for you? How often will they provide updates on your case? The claims process is generally very lengthy, which is why you need to find an attorney who keeps in touch without having to be prodded. Passion: A bike accident lawyer who loves the law is of paramount importance. Does the lawyer seemed burned out and bored by his or her job? Are you just another number? Or is the lawyer eager to get to work on your case, backed by a passion for the law? He or she should be ready and willing to get you the justice you deserve and hold the other party responsible for their actions. When you can find bicycle accident attorneys who love their job, you know you’ve made a good choice. Of course, it’s always best if you can avoid bike accidents in the first place. Here are a few tips to consider. 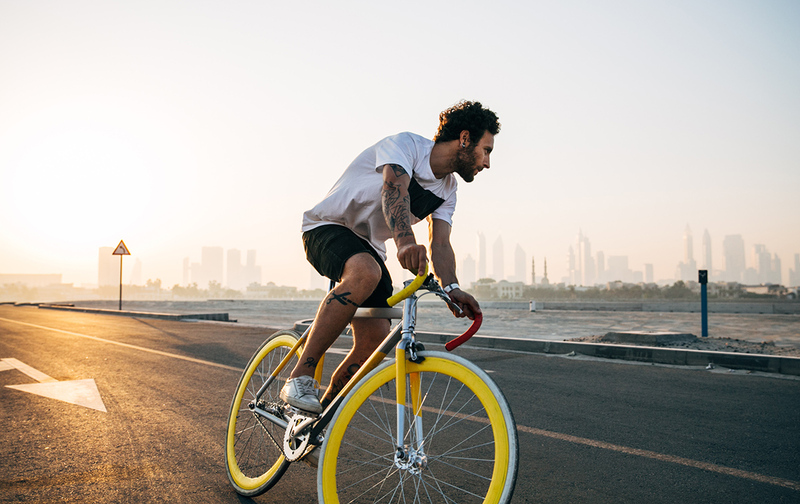 By riding safely, you can decrease the risk of an accident or injuries. However, if you are hurt in a bicycle accident in the Los Angeles area, contact Power Legal Group right away. We can give you a free, no-obligation consultation at 800-323-POWER.